Inlanta Mortgage Partners - Employee Training Archives - Inlanta Mortgage, Inc.
Inlanta Mortgage’s Senior Vice President of Business Development, Chad Gomoll, was recently featured in a National Mortgage Professional Magazine article discussing the importance of leadership, the qualities of true leaders, and, the benefits of having a team of leaders within your organization. When discussing the true innate qualities of a leader, Chad summarizes that leaders are the self-starters, the do-ers, and the decision makers. They often put others first and direct their efforts toward the good of the company and their peers. “Leaders tend to have an innate desire to lead. They are self-starters who volunteer to spearhead the next group project, take on a new task or responsibility that doesn’t fall inside their usual scope of duties, and want to be more involved in the organization. They take initiative to get the job done and encourage others to follow their example. They also are quick-thinkers who recognize when decisions need to be made quickly and are unafraid of making executive decisions. But most importantly, they have the ability to help their team navigate through any situation that may arise. To read more Chad’s full article from National Mortgage Professional Magazine, click here. At Inlanta Mortgage, Inc., we are always searching for leaders to join our growing team. Reach out to Chad Gomoll today at 262-439-4260 to discuss the leadership mentality at Inlanta or email us if you’d like to learn more about branch manager and loan officer opportunities. LendingQB, a provider of mortgage loan origination technology solutions, announced the successful implementation of its web-based loan origination system for Inlanta Mortgage, Inc. We attribute this smooth and rapid implementation experience to LendingQB’s comprehensive deployment process and a focused effort by both Inlanta’s and LendingQB’s staff. With an unwavering dedication to integrity, honesty and ethics, Inlanta has a reputation for delivering exceptional experiences to the communities in which it operates. Our company employs over 250 mortgage professionals and has gained recognition as the top FHA and USDA lender in the state of Wisconsin. Quality and integrity are values that drive our company’s success, so finding a technology partner that shared these values was important. We made the decision to implement LendingQB in mid-2015 and began working with a team of specialists that designed a comprehensive implementation project plan. LendingQB established clear milestones and met with the our team at least twice a week throughout the project. “Inlanta was very motivated and provided plenty of resources to ensure the project would succeed,” said Lester Alitagtag, deployment manager for LendingQB. “They were efficient in communicating with us, took accountability for their work and had strong executive support. These are the keys to a successful implementation project.” The successful implementation also came at a very high loan volume time for Inlanta. “During this spring season, Inlanta reached record volume and we rolled out a new loan origination software system. This would not have been possible without our outstanding team of employees and their dedication to fulfilling our mission. We appreciate all of their extra time, effort, and sacrifice to make this happen; it is a heck of an accomplishment by our employees,” said Nick DelTorto, our President and CEO. Mortgage industry veteran Doug Smith says that loan officers need to let go of some activities in order to make way for more income-producing activities. In a recent article provided exclusively to Inlanta Mortgage, Smith highlights the activities loan officers need to leave behind. Smith says too many loan officers spend too much time working on loans in process. He says their inability to let go and trust their teams to gather documents, clear conditions, and manage the specifics of the loan transactions will forever hold them back. Smith says that some referral partners will accelerate your business by providing a steady stream of leads while others will drive you crazy with endless questions and daily requests for updates on their clients. If the volume and quality of business generated by a referral partnership is worth it, so be it. However, Smith says you might need to make the tough decision to back away from high maintenance partners that give you little or no business and seek out more reliable and professional relationships. We invite you to read more of “If you want to grow, learn to let go” by Doug Smith. Click here to view the article. As a 33-year financial services industry veteran, Doug Smith has built a successful career in sales, sales management, sales training, leadership development, marketing, professional speaking, personal coaching and strategic business planning. Inlanta is fortunate to maintain a strong partnership with Doug Smith which includes a series of articles tailored to loan originators and created exclusively for Inlanta Mortgage. “If you want to grow, learn to let it go”, is the most recent article in the series that Smith provides to Inlanta loan officers on a monthly basis. Do you want to learn more about Inlanta Mortgage branch opportunities? Contact Pete Salamone at 262-439-4242 or email petesalamone@inlanta.com. Headquartered in Brookfield, Wis., Inlanta Mortgage was established in 1993. The company has grown to 34 branches in 16 states and over 220 employees. Inlanta Mortgage offers Fannie Mae/Freddie Mac agency products, as well as jumbo and portfolio programs. The company is an agency-approved lender for Fannie Mae, FHA/VA, FHA 203K and USDA. Inlanta Mortgage also offers numerous state bond agency programs. Review Inlanta’s loan programs here. Inlanta Mortgage was named a Top Mortgage Lender in 2012 and 2013 by Scotsman Guide and has been listed in Mortgage Executive Magazine’s “Top 100 Mortgage Companies in America” every year since 2011. In addition, Inlanta was named one of America’s Top Mortgage Employers by National Mortgage Professional; a “Platinum Million Dollar Lender” by USDA Rural Development in 2014; and a Top Workplace by the Milwaukee Business Journal in 2014. As part of a long-standing partnership with national speaker and mortgage professional Doug Smith, Inlanta receives and shares among staff a new article written by Smith each month. Article topics include the importance of consistency and call reluctance/fear of rejection and are meant to reinforce previous training and encourage our team to utilize the resources available to them. 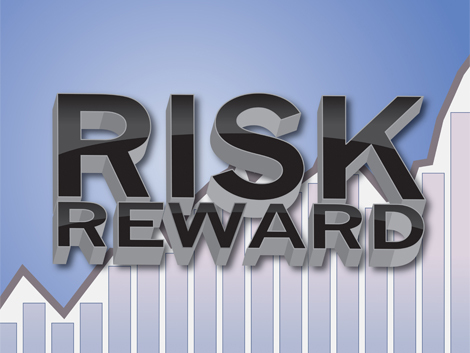 This month’s article is entitled “With Risk Comes Reward” and I would love to share it with you. Email me at petesalamone@inlanta.com and I will send it to you. I would also be happy to share some other recent articles provided by Doug Smith including “Kick Call Reluctance to the Curb”, “Chance for Change” and “Pushing Past the Biggest Barrier”. Inlanta Mortgage has been helping mortgage professionals achieve the best work of their lives for more than twenty years. We invite you to connect with our branch managers and find out for yourself. If you are ready to learn more, contact me at petesalamone@inlanta.com or 262-439-4242. Let’s start a conversation. Headquartered in Brookfield, Wis., Inlanta Mortgage was established in 1993. The company has grown to 33 branches in 16 states and over 220 employees. Inlanta Mortgage offers Fannie Mae/Freddie Mac agency products, as well as jumbo and portfolio programs. The company is an agency-approved lender for Freddie Mac, Fannie Mae, FHA/VA, FHA 203K and USDA. Inlanta Mortgage also offers numerous state bond agency programs. Inlanta Mortgage hosted their 10th Annual Sales Conference at the Milwaukee Art Museum in Milwaukee, Wisconsin on September 15th and 16th. The conference featured educational and motivational sessions tailored for both loan production and operational staff of Inlanta Mortgage. Inlanta was fortunate to welcome XINNIX founder and CEO, Casey Cunningham, as a keynote speaker at their 10th Annual Sales Conference. Cunningham addressed both originators and production support team members over the course of the two-day event. “It was a privilege to be part of a great company that is dedicated to helping their employees grow. Inlanta is a great partner to XINNIX that embraces empowerment and education,” said Casey Cunningham. During a later session, operations and production support staff were fortunate to partake in training with a different focus. In a session marked by laughter and team challenges, operations staff training focused on the power of communication. Cunningham, in her signature style, warmed up the Inlanta operations staff with humor and grace. Unaccustomed to the highly motivational and energetic sessions that loan officers frequent, the operations team at Inlanta was energized by Cunningham. Topics included in this session included identifying communication styles and tailoring communication styles to effectively communicate with co-workers, superiors and clients. Communication training also included a segment on listening skills – identifying negative listening habits and finding ways to avoid them. Cunningham went into extensive detail on email and telephone etiquette as well as how to resolve a customer’s concern or issue. XINNIX and Inlanta Mortgage have been partners in mortgage education and sales training for more than two years. XINNIX is Inlanta’s source for both veteran originator training, new loan officer training and operations training. Loan production support staff at Inlanta Mortgage recently completed a training session called ‘Power of Partnerships’, which will covered the essentials of creating a team that works. ‘Power of Partnerships’ focused on best practices for building stronger relationships with loan officers, how to help loan officers maintain their pipeline, approaching their positions with passion and improving service throughout out the loan process. Inlanta’s senior leadership is committed to providing the support and training employees need to pursue excellence in their work and personal lives – a consistent theme of Cunningham’s presentations. Inlanta has a unique culture of close-knit caring employees who work to commit to help each other. The company is described as having tremendous “heart”. Headquartered in Brookfield, Wis., Inlanta Mortgage was established in 1993. The company has grown to 31 branches in 16 states and over 220 employees. Inlanta Mortgage offers Fannie Mae/Freddie Mac agency products, as well as jumbo and portfolio programs. The company is an agency-approved lender for Fannie Mae, FHA/VA, FHA 203K and USDA. Inlanta Mortgage also offers numerous state bond agency programs. Inlanta Mortgage is expanding its branch network by partnering with loan professionals with proven records of success that conduct themselves with professionalism and integrity. Inlanta Mortgage encourages ethical lending professionals to learn more about our support platform by contacting Inlanta Mortgage’s Branch Development Team at 262-439-4260 or email partners@inlanta.com. For more information on strategic alliances, marketing agreements, and third-party origination agreements with Inlanta Mortgage, contact Paul Buege, Chief Operating Officer at 262-754-6407 or email paulbuege@inlanta.com. Nick DelTorto makes his opening remarks at the Annual Inlanta Mortgage Manager’s Meeting. Every year, Inlanta branch managers gather to discuss issues and developments in the mortgage industry and to share success stories and best practices. This year, the meeting kicked off with an exciting promotion announcement from CEO John Knowlton and President Nicholas DelTorto. Read more about the promotion announcement here. Each year, the corporate management staff try to present on topics that are near and dear to Inlanta managers’ hearts – this year’s overall focus was on sales growth. Addressing the topic of sales in one session, a panel of Inlanta’s top producers discussed what they feel works well for their business and suggested tactics for others to improve their production. In another session led by Business Development Manager Peter Salamone, legendary motivational speaker Jim Rohn was frequently cited and showcased with advice on how to approach sales and sales leadership. Yet another sales focused session led by Chief Operating Officer Paul Buege discussed big data and how to use the data resources available to you to grow a mortgage branch and expand your Realtor partnerships. The final session of the day was lead by Mitch Kider from Weiner Brodsky & Kider PC from Washington, D.C., Kider is a lawyer specializing in all things CFPB. Kider discussed a number of issues related to mortgage regulations and fielded questions from the managers. Despite the less than exciting topic of Kider’s presentation, the managers felt it was a necessary and timely component of the day’s presentations. Regulatory concerns and proper adherence to rules are present at every layer of the company. One of the most enviable qualities of Inlanta Mortgage is its culture and the level of camaraderie between managers located across the country from each other. At the cocktail hour, managers interacted with each other and Inlanta administrative staff to discuss additional issues, successes and best practices that may not have been touched on during the formal sessions. View pictures from the event below. Headquartered in Brookfield, Wis., Inlanta Mortgage was established in 1993. The company has grown to 32 branches in 17 states and over 200 employees. The company is agency approved for Freddie Mac, Fannie Mae, FHA/VA, FHA 203K and USDA. Inlanta also offers numerous state bond agency programs as well as a full suite of jumbo and portfolio programs. Inlanta Mortgage was named a Top Workplace in 2012 by the Milwaukee Journal Sentinel, has been listed on Mortgage Technology’s Top 25 Tech Savvy Lenders List every year since 2010, Mortgage Executive Magazine’s Top 100 Mortgage Companies in America in 2011, 2012 and 2013, and the Scotsman Guide’s 2012 Top Mortgage Lenders List. When you value someone you consider them to be important or hold a high opinion of them. As mortgage originators some of the most valuable relationships we have are with our Realtor partners. How do you show your Realtor partners that you value them? Here are a few tips we should all know but still bear repeating. Do Not Lie – Telling your son a little white lie about his dead goldfish is okay. What’s not okay is telling your Realtor partner that the file “is in underwriting” when it isn’t. While you may feel under pressure to tell little lies to make all parties relax, you are destroying the trust you have built with that partner. Realtors weren’t born yesterday, they know when you are lying. Small lies destroy trust. Be upfront and honest about file statuses – Realtors just want us to tell it like it is. Communicate – Is there a problem with the file? Is the closing date going to be delayed? Tell your Realtor partner now – not when a solution is found. While your Realtor partner won’t be happy to hear that the closing will be delayed, they will appreciate your honesty. It all comes down to this – Realtors and borrowers appreciate being kept in the loop. Sometimes it pays to call and let them know that nothing has happened. Yes – you heard that correctly. Successful loan originators will go that extra mile for valued partners and borrowers. Understand Your Programs – Don’t sell your borrower on a program unless you are sure you can deliver. This is all about professionalism. Keep up-to-date on program guidelines and do a little research before you throw anything out there. Ask a lot of questions up front – when the borrower is most likely to tell you everything. Exasperated borrowers are less likely to share game changing details later in the game. You must understand that shifting from a government to a conventional loan cause everyone more work – including your valued Realtor partner. If you diligently review the borrowers situation and the program guidelines, you can avoid this kind of problem. The nation’s top producing loan originators are honest, keep open lines of communication with their Realtor partners and have strong program knowledge. Inlanta’s regularly scheduled training sessions help expand our loan officers program knowledge and serve as a way to share valuable tips on nuturing those valuable Realtor relationships. Inlanta continues to expand its footprint by adding high-producing, ethical mortgage originators and branch offices. If you are ready to join a team that values professionalism and offers state-of-the-art support systems, contact our Branch Development team at 262-439-4260 or email partners@inlanta.com. All potential partners and loan officers must have proven track records of success and high ethical standards. Posted in Employee Training, Loan Officer Spotlights, Uncategorized, Why Inlanta? Inlanta Mortgage loan officers and staff welcomed keynote speaker Casey Cunningham from XINNIX, The Mortgage Academy of Excellence at the 9th Annual Sales Conference held at the Milwaukee Public Museum September 16 & 17. XINNIX, The Mortgage Academy of Excellence, provides the mortgage industry’s most proven and effective sales development programs in the country. Founded in 2002, XINNIX has rapidly become an industry leader in mortgage certification, executive management, sales enhancement, and professional coaching. Inlanta Mortgage maintains a relationship with XINNIX offering leadership training to branch managers and new loan officer mortgage training for qualified individuals. Are you ready to join a mortgage company that invests in its employees? 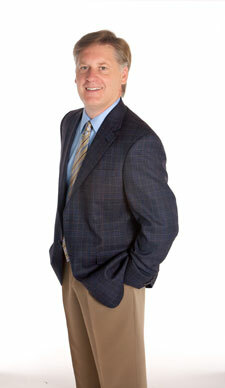 Inlanta Mortgage provides its loan officers and leaders with the tools needed to prosper in today’s mortgage market. From XINNIX leadership training and new loan officer training to cutting edge customer relationship management systems and marketing tools – Inlanta Mortgage has what today’s mortgage professional needs. For more information on branch partnership opportunities contact Vice President of Branch Development, Joe Ramis or Branch Development Manager, Peter Salamone at 262-439-4260 or via email at partners@inlanta.com. Inlanta Mortgage is privilege to have received a number of awards both locally and nationally. Read more about Inlanta Mortgage’s awards.